Hands down this has got to be the best book I've read this year, and I've read some very good books! If I'm honest when I first started to read this book I thought it would be your standard haunted house story but this book is so much more than that. It starts off slow, but creepy, there's an ominous undercurrent and not unlike the epic TV series of 24 it kicks off and takes you on an adrenaline packed adventure. It became one of those book where I had to keep reading, even if it meant staying up all night. I was genuinely scared reading this book which isn't something that happens often. When David Caine, a celebrated skeptic of the supernatural, is invited by an old friend to spend a month in “the most haunted house in Virginia,” he believes the case will be like any other. But the Alexander House is different. Built by a 1700s land baron to contain the madness and depravity of his eldest son, the house is plagued by shadows of the past and the lingering taint of bloodshed. David is haunted, as well. For twenty-two years ago, he turned away the woman he loved, and she took her life in sorrow. And David suspects she’s followed him to the Alexander House. This is so much more than a horror story, this has some really powerful themes of lost loves, death and the true nature of evil. It's not just monsters who are evil but us and lurks in everyone one of us. There comes a time in everyone's life where we have to deal with our past, take responsibility for the mistakes we've made. I really warmed to the main character David, a good guy who made some bad decisions and his past actions haunt him as much as the ghosts in this book. What I found interesting with this book is that there were two ghosts, a Siren and a Spectre as well as the demons David harbours inside. He has been invited to the haunted house in a bid to convert him and I loved the extreme efforts he goes to, to not believe in the paranormal. 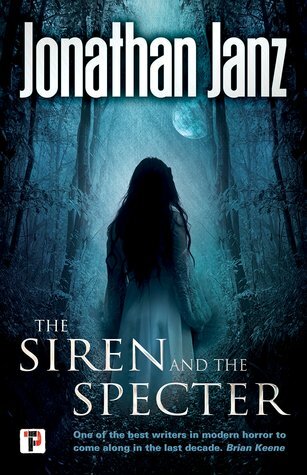 The Siren and the Spectre is so thrilling as all the secondary characters have their own brilliant plots. I don't want to say too much and spoil the book for those who've not yet read it but there's loads of characters you will really hate and loads you will love. If this is the sort of fiction that Flame Tree Press will be releasing from now on I think the horror genre is going to get huge. I'd like to say a really big thank you to Flame Tree Press for giving me an ARC of The Siren and The Spectre. 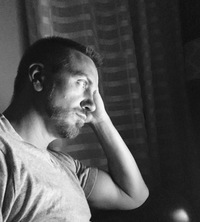 Jonathan Janz is the author of more than a dozen novels and numerous short stories. His work has been championed by authors like Joe R. Lansdale, Jack Ketchum, and Brian Keene; he has also been lauded by Publishers Weekly, the Library Journal, and the School Library Journal. His novel Children of the Dark was chosen by Booklist as a Top Ten Horror Book of the Year. Jonathan’s main interests are his wonderful wife and his three amazing children. You can sign up for his newsletter (http://jonathanjanz.us12.list-manage....), and you can follow him on Twitter, Instagram, Facebook, Amazon, and Goodreads.